Arditti’s approachable work covers the all the details of design, siting and construction – once a basic type has been decided upon. 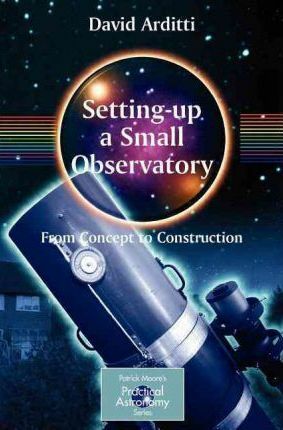 It is written in a way that is equally applicable to the USA and UK (where there are slightly different building regulations) and deals with matters that are basic to building and commissioning any amateur observatory. Uniquely, David Arditti also considers the aesthetics of amateur observatories – fitting them in with family and neighbours, and maybe disguising them as more common garden buildings if necessary. Every amateur astronomer who wants a purpose-built observatory (and let’s face it, which one of them doesn’t?) will find this book invaluable.